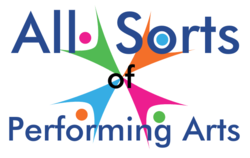 We are an equal opportunities performing arts school with experience in a range of differing conditions with a great team of boys within the school as well as two male dance and drama teachers. All Sorts professionally trains and gives opportunities to all by engaging social interaction with children & young adults in the community which encourages confidence & explores their talents in the performing arts. Our teachers cover a wide range of disciplines, including those not currently on our timetable. Non-timetable disciplines are supported through private tuition on a one to one basis.